Spread mixture into the baking pan, and smooth out the top. Bake until top is firm, 25 - 27 minutes. Healthy Dining Out Made Easy on This Week’s Podcast Episode! Listen now, and subscribe so you don’t miss an episode! 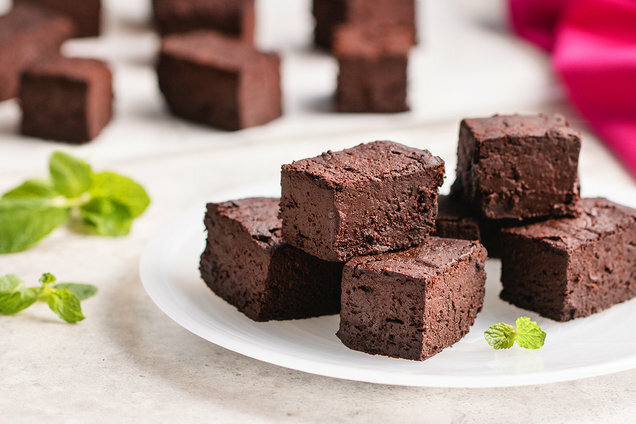 Hungry for More Healthy Fudge Recipes? The Happy Chew Year Challenge continues! Head over to our Facebook page to share three healthy staples from your supermarket list, and get some new ideas from the comments! Your pals need fudge ASAP -- click "Send to a Friend" to share the recipe!